While the offer of “free dining” may seem too good to pass up, it could actually cost you more in the long run. Today Guest Blogger Tim Krasniewski, publisher of DVCNews.com, explains how “free” can be a bad deal when costing out a Disney vacation. When the summer travel season is all but over for the Disney theme parks and kids are returning to school, Disney begins rolling-out its “free dining” promotion to give business a bump during this slower period. The answer, unfortunately, is no. To understand why, one really needs to look at the reasons for the “free dining” promotion and the manner in which it is structured. “Free dining” isn’t really free dining. (Thus my frequent use of quotes around the term “free dining”.) The promotion is actually a package deal in which guests get one component for free – the Magic Your Way Dining Plan – in return for buying other components at full price. In order for US residents to get free dining they must book a full price multi-day stay at a Disney resort hotel plus theme park tickets in order to get the dining plan added at no cost. And as we all know, Disney’s hotel rack rates are not inexpensive. During the “free dining” period, one night in a Bay Lake Tower Deluxe Studio runs as high as $525 per night plus 12.5% tax. A One Bedroom at Bay Lake Tower during the same period is $645 plus 12.5% tax. A Savanna View room at Disney’s Animal Kingdom Villas costs $460 plus tax for a Deluxe Studio and $615 for a One Bedroom Villa on identical dates. 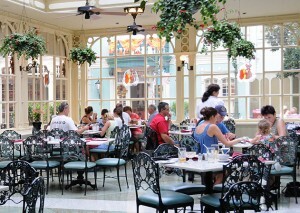 “Free dining” is not a magnanimous “thank you” gift to Disney guests who choose to visit during slower periods. It is simply a creative way to incentivize guests to still spend hundreds-of-dollars per night on accommodations alone, while convincing them they are getting something worthwhile for free. A family of 4 could receive no-cost dining credits worth $150-250 per day depending upon the ages of the group. But when staying in Deluxe hotel accommodations, that family is still spending a minimum of $500-600 per night for the accommodations in order to get that “free” food. The ticket purchase obligation will add a few more dollars to the cost since Disney charges moderately higher prices than many independent ticket resellers. So why aren’t Disney Vacation Club point stays eligible for “free dining?” Simply because DVC members and point renters are not adhering to the terms of the offer. When booking on points, there is no full rack rate payment. There is no mandatory ticket purchase. There is no minimum stay. Despite the high cost of a Disney Vacation Club points purchase, most owners bought with the understanding that they would save 60-70% on their accommodations in the long run. Those long term savings are a DVC member’s promo or PIN code. Offering “free dining” costs Disney hundreds-of-thousands of dollars in revenue every operating day. It isn’t realistic to think that Disney would offer DVC members that 70% long-term savings plus free food during stays on select dates. DVC members certainly CAN book a “free dining” offer but it would be in lieu of using points for the stay. Like all others, the member would be obligated to pay full rack price for the room and park tickets. Prospective renters should evaluate the cost of renting points for a DVC villa stay combined with paying for the Magic Your Way Dining out-of-pocket vs. the cost of Disney’s “free dining” offers. When doing an apples-to-apples comparison involving Deluxe / DVC resorts, renting points and paying for the dining is almost always cheaper in my experiences. It may be possible to dine for free and pay a lower rate for a Moderate or Value resort. However, the quality of the accommodations are reduced and the free dining options received may be of lesser value. 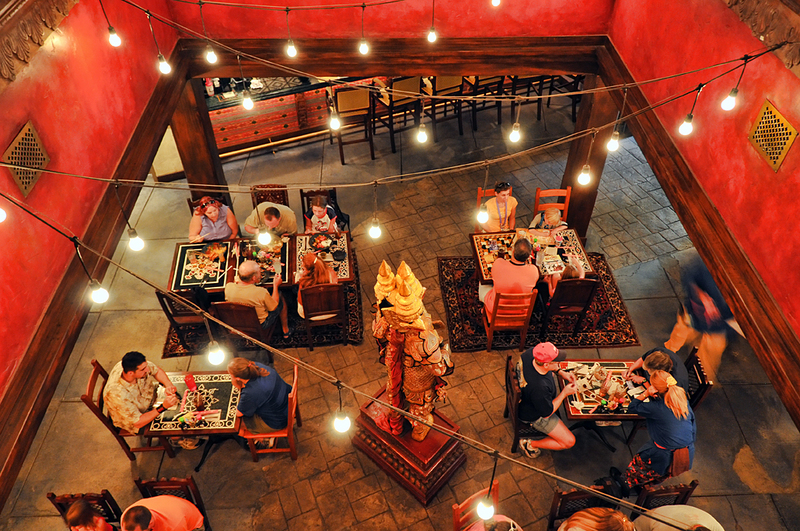 Tim Krasniewski has been a Disney Vacation Club owner since 2003 with points at Disney’s Saratoga Springs Resort, Disney’s BoardWalk Villas and the Villas at Disney’s Grand Californian Hotel. He is the publisher of DVCNews.com, a site dedicated to reporting news and information of interest to current and prospective DVC members. Follow DVCNews on Twitter (@DVCNews) and Facebook (Facebook.com/dvcnewscom).